Fly Southwest Airlines and come live your Disney dreams during The Year of a Million Dreams! Southwest Airlines Vacations. Book air + hotel, add activities and save! Southwest Airlines is offering deals on vacation packages for some of the most popular destinations in the country, including Las Vegas, Orlando, New York, Chicago, and Los Angeles. * SAVE $50 on a total package price between $700 – $1,000. * SAVE $75 on a total package price between $1,000 – $1,200. * SAVE $100 on a total package price between $1,200 – $1,900. * SAVE $150 on a total package price between $1,900 – $3,000. * SAVE $200 on a total package price of $3,000 or more. You can also combine these savings with more hotel deals such as free nights, general discounts, or free tickets to shows. Vacation package deals are good for travel throughout 2011. Visit Southwest Airlines for more details good for travel throughout 2011, and use the promo code SAVENOW at Southwest Airlines. Book flight and hotel and save up to $100 on MGM Resorts Packages! Hyatt Hotels Sale - $75 off 3 or more Night Vacation Package at participating Hyatt Hotels! Walt Disney World Resort Sale! 7 Night Hotel + Air + Magic Your Way Ticket starting at $99 per person, per night! Receive up to a $500 Disney Gift Card at the Walt Disney World Resort! Up to a $500 Disney Gift Card at the Walt Disney World Resort! 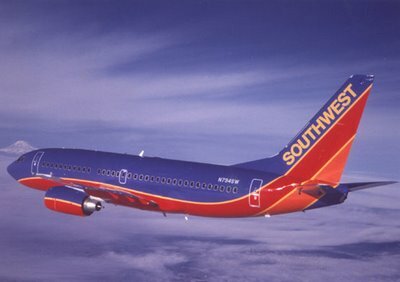 Southwest Airlines Vacations is the leisure vacation package product for Southwest Airlines and is operated by The Mark Travel Corporation (TMTC). TMTC is headquartered in Milwaukee, WI and has offices throughout the country including Orlando, FL where the Southwest Airlines Vacations marketing offices are located. Southwest Airlines offers complete vacation packages to destinations across the U.S. with flight service available from every scheduled Southwest Airlines departure city. While their vacations packages are not available to every city Southwest Airlines serves, packages are available to most leisure destination markets.